Anita East PRP Therapy acts as both a natural Dermal Filler and softener, improving the texture and appearance of your skin. Platelet Rich Plasma (PRP) therapy was first used in medicine in 1987 and is today utilised in many areas including; sports medicine, orthopaedics, cosmetics, faciomaxillary and urology. In aesthetic enhancement and anti-aging medicine, it is used to improve skin tone, texture and elasticity. 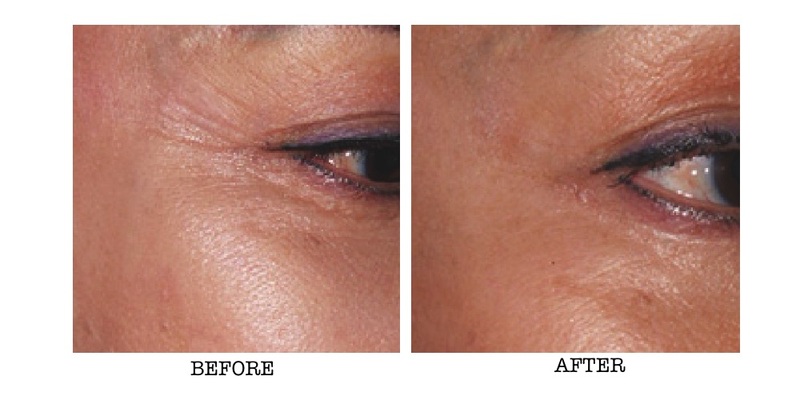 Typically used to treat the crepey skin directly beneath the eyes, where we are limited with our use of Anti-Wrinkle and Dermal Filler treatments. It can also rejuvenate the décolletage, neck, cheeks, midface, back of hands, knees, thighs, arms and post baby stomach and breasts and encourages the repair of wounds and burns. We are proud users of TGA approved Regen Lab’s PRP system. PRP therapy involves extracting a small blood sample from your body (usually inner elbow) and spinning it in a centrifuge to separate your plasma and red cells. 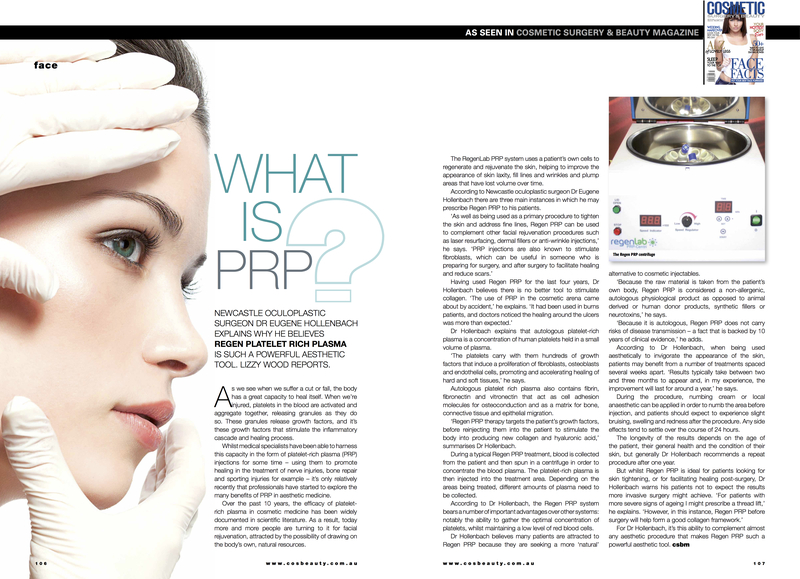 PRP is then injected back into the treatment area via a needle or the Dermapen. Your platelets release growth factors that assist the human body to repair itself by stimulating cells to regenerate new tissue. This initiates an accelerated healing process and improves your skin quality for up to 12 months. 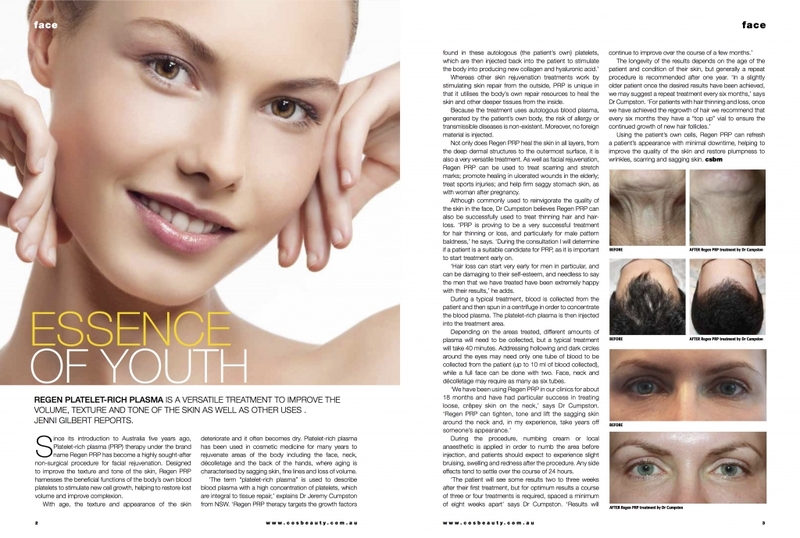 PRP therapy acts as both a natural Dermal Filler and softener, improving the texture and appearance of your skin. As the skin rejuvenates, your natural beauty is enhanced. Persons with severe skin disease, cancer, chemotherapy, severe metabolic and systemic disorders, and abnormal platelet function (i.e. blood disorders). Anti-coagulation therapy and underlying sepsis HIV, some auto immune disease excludes the use of PRP. Consultation is required to see if you are suited to PRP treatment. $575 – 1 vial which will treat 1 area, (face or neck or décolletage) combined with a medical Dermapen treatment. $300 – per extra vial. 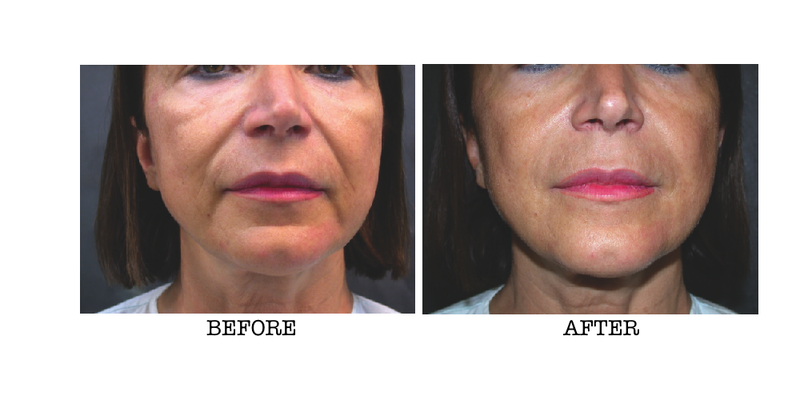 $375 – PRP without Dermapen for your second and third treatments only.